Minehead is a superb destination for families seeking a traditional seaside holiday. It is considered the Northern Gateway to Exmoor and is the area’s largest town. 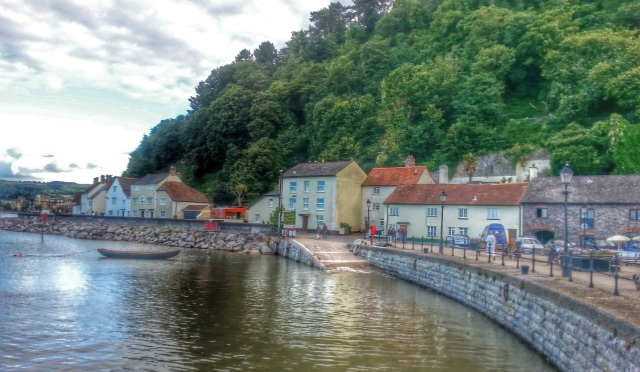 Ideally situated to explore the stunning scenery of Exmoor and the Quantock Hills, Minehead is the starting point of the South West Coast Path National Trail, the nation's longest long-distance countryside walking trail. Perfect for a family seaside holiday, Minehead offers a long flat sandy beach, great for picnics and games – especially as the sand here is perfect for sandcastle building! The promenade with its cafés, bars and shops offers access to the sandy beach and spectacular views across to North Hill. An ancient castle and comfortable country home with dramatic vistas and subtropical gardens. With 1,000 years of history the castle has plenty of great stories to tell. The last family to live here, the Luttrells, moved in in 1376 and out in 1976, and changed a medieval stronghold into a comfortable family home. Dogs are welcome throughout the year and there are some great spots to stretch your legs. On Exmoor it is still possible to find tranquillity and peace as well as rediscover your sense of adventure; and catch a glimpse of wild red deer. Events on the Harbour include the Minehead Harbour festival in July and the RNLI raft race in August which is the largest of its kind in the country. You will travel through a variety of landscapes: heathland, moorland, deciduous & coniferous woodland, farmland, deeply wooded valleys and expansive views over the coast towards Wales. Minehead EYE started out as an idea for a skatepark as the local skaters started to bring attention to the fact that there were no parks anywhere near the area. Funding was applied for in 2006 from the BIG lottery fund. Capital was granted for a multi purpose indoor skatepark and youth centre which was finally built and opened in August 2010 after many years of volunteer time and effort by everyone involved.